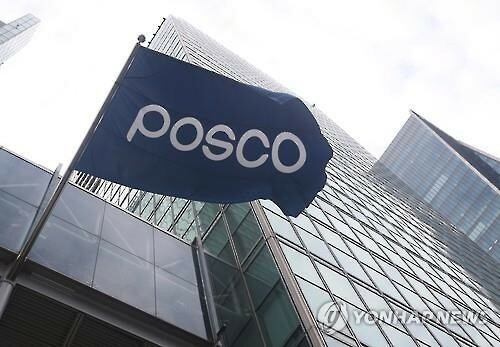 Posco, South Korea’s leading steelmaker, is accepting applications for the fourth round of its free online and offline education on artificial intelligence, big data and the internet of things for job seekers, the company said Thursday. The program comes as part of the company’s efforts at outreach in creating social value, presented among Posco Chairman Choi Jeong-woo’s “With Posco” vision introduced last month. The program on AI, big data and IoT was put together with Pohang University of Science and Technology last year, and 26,543 students have completed the program so far, the company said. Upon completion, some have found jobs as research interns at Postech, or regular jobs at LG CNS, Kakao and SK Innovation, among others. “The program is one of Posco’s representative social corporate responsibility activities widely expected to expand job opportunities and furthermore contribute to improving the country’s capabilities in the fourth industrial revolution,” the company said in a statement. During the four-month program that includes a basic online course and advanced offline course, the participants will be taught by Postech professors, while Posco will provide financial support. It added that online classes have expanded to 13 classes from six offered in the first round, and students who pass the basic course will be eligible to attend the advanced offline course from Sept. 3 to Oct. 24 at Postech. Applications for the online course will be open until Sept. 2 at www.postechx.kr.